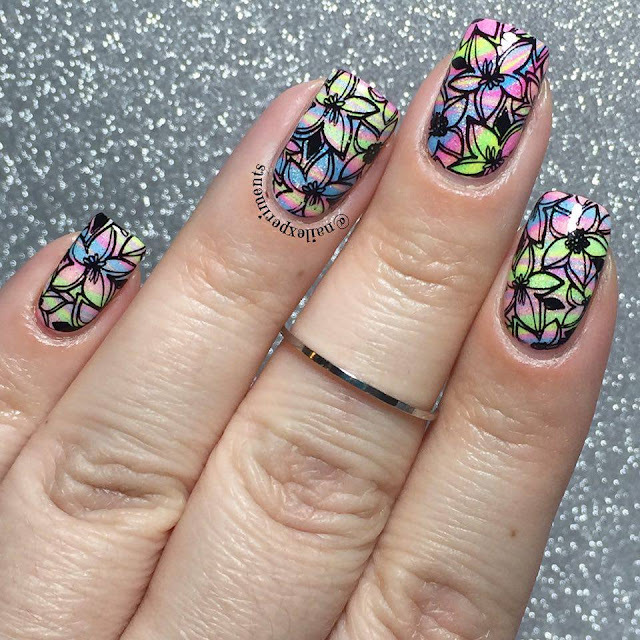 Cosette.Nail.Shop on Instagram recently held a giveaway for her new jumbo clear jelly stamper and of course had to enter! You can probably guess by now that I won haha and was frantic when I seen that notification pop up on my screen! 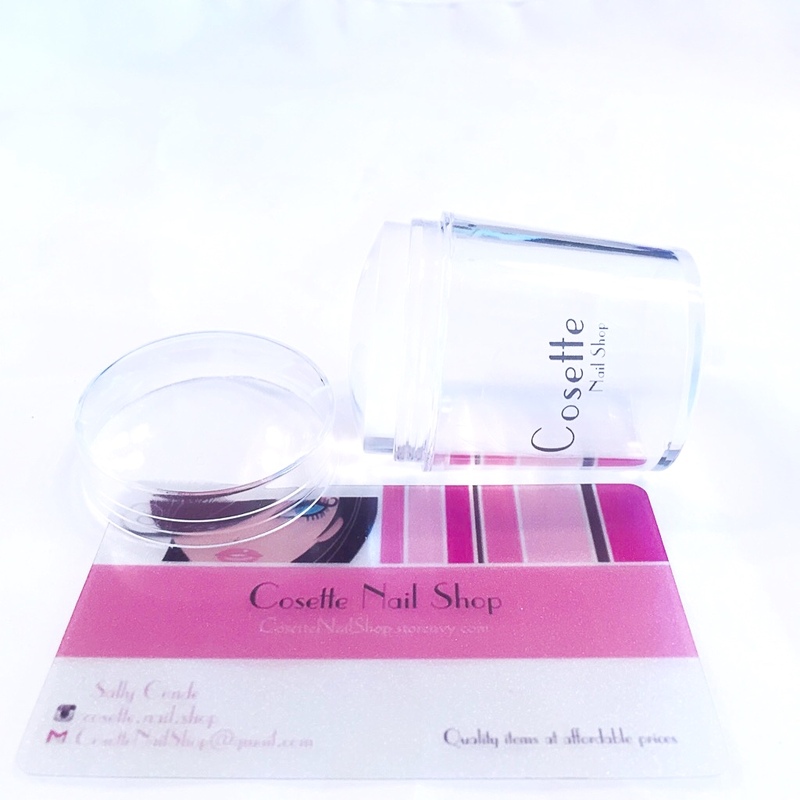 The jumbo clear jelly stamper from Cosette Nail Shop is a medium-firm squish level and comes in a set with the holder, stamper head and scraper. The holder is clear, which allows light from all angles through and a protective cap to ensure longevity of the stamper head. The stamper head measures 3.8cm to accommodate longer nail and the shorter handle allows for a closer view when placing the image without 'tunnel vision'. On the website she sates to use alcohol or polish remover to clean the head. Refrain from using 100% acetone on the stamping head as this can cloud the stamper over time .. which has been my experience with my first clear jelly stamper (not this one). Also, refrain from using acetone on the holder itself as it'll instantly get cloudy and to use a wet magic eraser instead. Silly me got nail polish accidentally on the cap, went to wipe it with acetone and the cap became cloudy. No big deal as the stamper itself didn't get harmed in any way, which is the most important part lol! 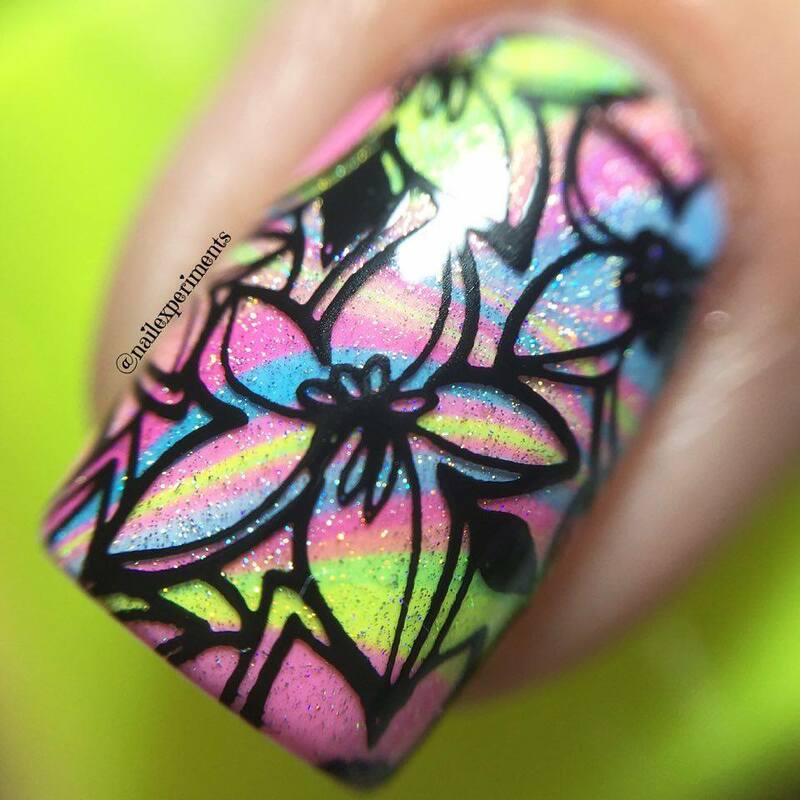 Gently use a lint roller/tape to clean the stamper head in between stamping images to remove excess polish. This is the first mani I did using the Cosette Nail Shop Jumbo clear jelly stamper, as I was just testing the waters with a simple stamped design. Upon first stamp attempt I had zero issues as the image picked up and transferred perfectly. No priming of the stamper head was needed as I got a clean crisp image. Not 100% crisp as you'll see in the macro shot, but again it was my first time and was just testing the waters. Second round I was able to pick up a MUCH better image as I got used to the motion and figured out the perfect roll. 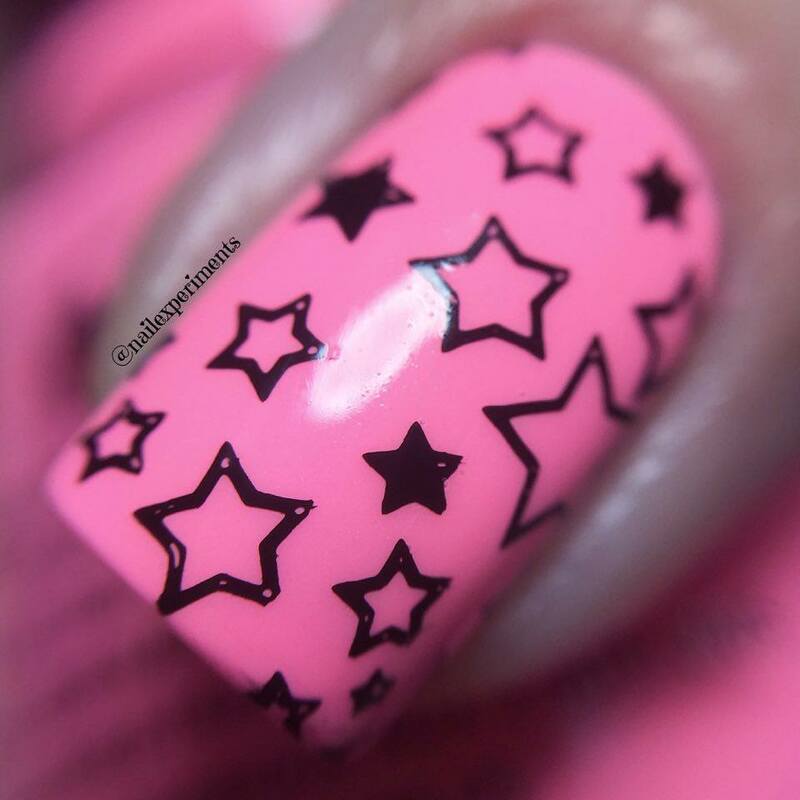 This stamper is PERFECTION! Nail stampers have evolved over time, which is a nice change because back in the day (making myself sound old here haha) they were quite firm. The first stamper I owned was the original Konad stamper and at the time it was working just fine. Until squishy stampers came out that is, which was a HUGE game changer! They were more squishy and hugged my C curved nail easier without me forcing so much pressure to transfer to the image. Well if that wasn't enough .. someone came out with a CLEAR stamper! Say whaaaat? Yes! 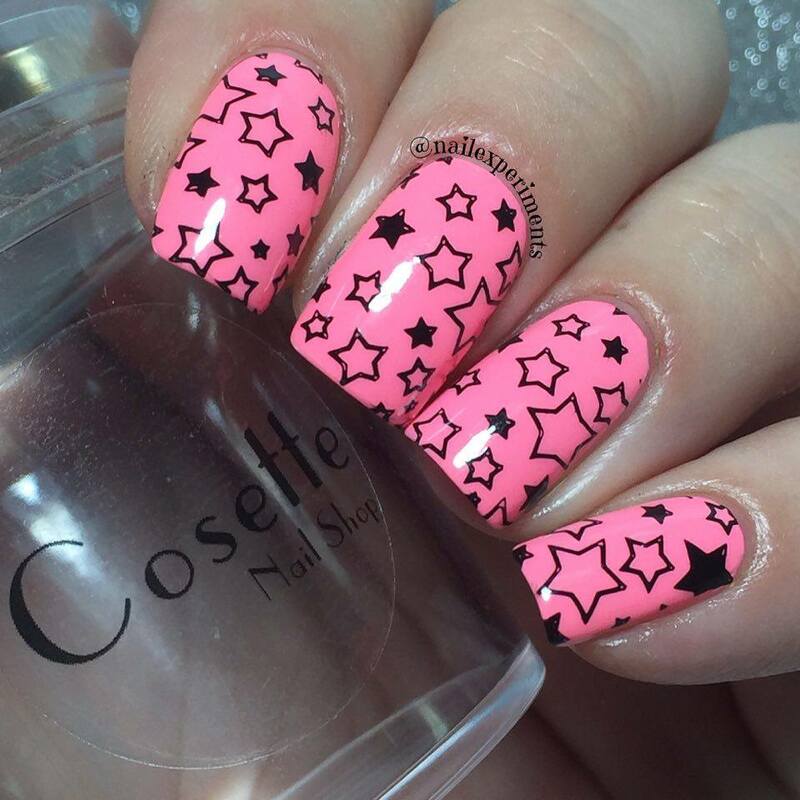 A clear .. see through .. squishy jelly stamper *insert heart eyed emoticon*! This was huge and a bigger game changer than just a regular squishy stamper, as being able to see the image through the stamper allowed for the uttermost precise stamping methods. 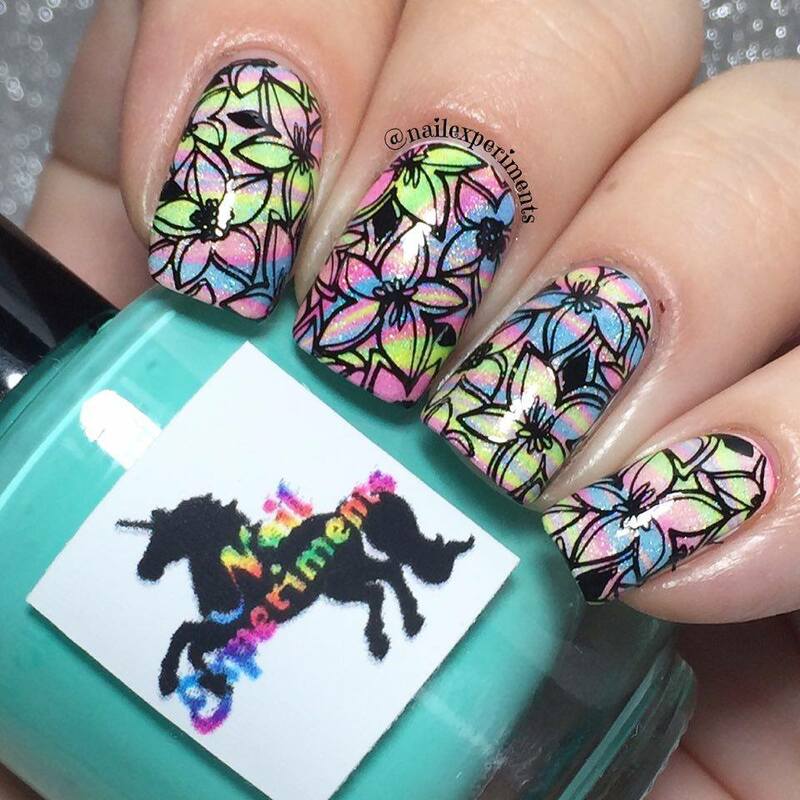 Nail stamping has always been one of my favorite nail art hacks, as you can achieve professional looking results without leaving the comfort of your home. Certain images require more precision as they need to be lined up straight .. and silly ol me always seemed to mess that up. Being able to see where I'm placing images saves me so much time vs getting frustrated and re-doing nails + wasting polish .. which is never a good time for a polish addict lol. All stamper are not made equally as they come in different 'squish level' forms between firm-squishyness levels if that makes any sense. This stamper is by far amazing and definitely recommend it to any stamper crazed addicts! For $7.49 USD you receive the entire set (stamper head, holder and scraper) and you can also purchase replacement stamper heads separately for $4.49 USD a piece. I have gathered quite the collection of stampers over time and this one is hands down my favorite!